Bill C-51 brought in the Secure Air Travel Act (SATA) which modifies the Canadian “no-fly” scheme (the Passenger Protect Program) to be more like the US model. (b) Travel by air for the purposes of committing certain terrorism offences as outlined in the Criminal Code. Instead of reviewing the lists every 30 days (the former system),the Minister only has to review it every 90 days to determine if everyone listed continues to meet the criteria for listing. So, am I on the list(s)? Under the new law it is illegal to tell an individual if they are on the no-fly list or not. If you are denied boarding or delayed in security, neither the government not the airline can confirm or deny listing. Your only recourse is to apply in writing for a delisting. You will make this application not knowing whether you are, in fact, on the list or the reasons for you being denied boarding. The Minister has up to 90 days to make a decision on a delisting application. If no decision is made and three months simply go by, you are deemed to have been denied delisting. In other words, if the Minister simply ignores your application for three months, your listing remains valid. At this point many people will already have suffered very negative consequences that include having lost employment and education opportunities that required them to travel abroad, all the way to the potentially perilous situation of having been denied boarding and prevented from returning home from abroad. Being trapped in a dangerous situation abroad didn’t make it into the government’s Green Paper, but it is a very real possibility. Nevertheless, it is only at this point that you can go to court to ask a judge to review the Minister’s refusal to delist you. This is called a judicial review process. It is only once this process is underway that the government lawyers present the court with information relevant to the listing. But you have no access to this information. At best, you might get a summary of reasons for listing, but the underlying evidence can be withheld on national security grounds. Under the Act, the summary of reasons need not be complete, and a judge may rely on information supplied by the government even if no summary of that information has been provided to you. There is no requirement that exculpatory information be provided to the judge for consideration. Finally, if the Minister requests it, the hearing of the appeal must be held in secret, with neither you nor your lawyer permitted to attend. If you are on the “slow fly” list there is no recourse except through requesting the assistance of the newly created Passenger Protect Inquiries Office which is supposed to identify your problem and suggest what you might do next. It is unclear what such suggestions might consist of. The government says it is considering changing the law to give some kind of redress to people who may be mistakenly listed, for example the growing number of Muslim children in Canada who have been prevented from or delayed in boarding flights. So far, there is an office to provide assistance, but no clear notion of what assistance they are/can provide. While it is next to impossible for you to be permitted access relating to your own listing, the Act allows your listing to be shared with foreign governments, with no statutory limits on how that information can be used by the foreign state. Canadian courts have recognized “security-watch listing” as Kafkaesque, something Canadians such as Abousfian Abdelrazik know only too well. 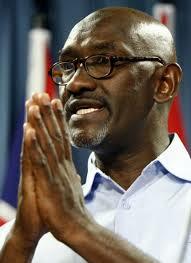 Following his imprisonment in Sudan, the Canadian government would not grant him travel papers and otherwise blocked his return to Canada. He wound up on a UN No-Fly list while we was outside Canada, and his lawyers spent over a year in court before he was allowed to return home. The UN subsequently “de-listed” him without giving any real reasons. Secret criteria, secret processes – all a violation of fundamental fairness with genuine and serious consequences for the people caught in the web. Security benefit? None/unknown. There is no evidence that no-fly schemes improve aviation safety. Travelers on these lists are deemed too dangerous to fly, and yet too harmless to arrest. They are restricted from boarding aircraft, but not trains, ferries, subways, buses, etc. Think about it: supposedly too dangerous to fly, but not too dangerous to go the mall, walk into a school, go to a hockey stadium? There is simply no logic to the program. We have other means of keeping suspected terrorists off airplanes. Rights concerns? Security watch listing is inherently problematic because it is based on secret information and allegations against individuals that– being secret – are nearly impossible for any individual to challenge. The new scheme provides for an appalling and probably unconstitutional lack of due process for people listed. There is no timely and appropriate mechanism for appeal of the Minister’s secret decision. Dangers? We say that Canada’s experience with mistakenly labelling individuals as security threats and providing that misinformation to foreign governments should counsel against such carte-blanche approaches to foreign information sharing. Because the scheme being proposed so closely resembles the US scheme, we have lessons that can be learned from their experience. We know the US scheme is frequently used to pressure listed individuals to become informants for security agencies. As the ACLU reported about the US no-fly system, FBI agents have been offering to remove individuals from the no-fly list in exchange for serving as informants in their communities. A tactic employed is to wait until the targeted person is out of the country to add them to the no-fly list so that they are prevented from returning to their home and listed as national security threat in the country they have travelled to. The assumption is clearly that these people are not genuine security threats or suspected terrorists. Thus, the concern is that such regimes are not only seriously flawed from the perspective of due process, but that such blacklisting may not be about keeping the skies safe at all. Nothing in the Canadian system, deeply mired in secrecy, protects the public from such abuses. Canada should repeal the Secure Air Travel Act and keep suspected terrorists away from airplanes using the existing tools under the criminal law. Seek a court order for the imposition of a travel ban. It is not the case that there may never be justification for preventing someone from boarding a plane. The question is, how – and on what grounds – is this to be done? We say the tools of the existing criminal law are best suited to protecting both public safety and individuals’ security.